May 28, 2015 /in Family Law, Other Law Topics /by Daryle C. Tibbs Esq. Daryle C. Tibbs, owner of Tibbs Law Office, explains the basics of Family Law, continuing with Spousal Support. May 19, 2015 /in Family Law, Other Law Topics /by Daryle C. Tibbs Esq. May 12, 2015 /in Family Law, Other Law Topics /by Daryle C. Tibbs Esq. 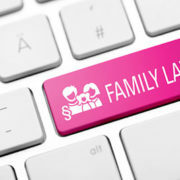 Daryle C. Tibbs, owner of Tibbs Law Office, explains the basics of Family Law, beginning with Property Division.